He was conscripted into the French Army in 1918 but the First World War came to an end before he had the opportunity to see action. After the war Moulin joined the civil service and rose rapidly to become the country's youngest prefect. Influenced by his friend, Pierre Cot, a radical pacifist, Moulin developed left-wing views. During the Spanish Civil War Moulin helped to smuggle a French aircraft to the Republican Army fighting against the Royalists. Moulin refused to cooperate with the German Army when they occupied France in June 1940. He was arrested and tortured by the Gestapo and while in his cell he attempted to commit suicide by cutting his throat with a piece of broken glass. After recovering he was released from prison. In November 1940, the Vichy government ordered all prefects to dismiss left-wing mayors of towns and villages that had been elected to office. When Moulin refused to do this he was himself removed from office. Over the next few months Moulin began to make contact with other French people who wanted to overthrow the Vichy government and to drive the German Army out of France . . . . Moulin visited London in September, 1941 where he met Charles de Gaulle, Andre Dewavrin and other French leaders in exile. In October 1941, Moulin produced a report entitled 'The Activities, Plans, and Requirements of the Groups formed in France'. De Gaulle was impressed with Moulin's knowledge of the situation and decided he should become the leader of the resistance in France. Moulin was parachuted back into France on 1 January, 1942. Moulin brought with him a large sum of money to help set up the underground press . . . . Moulin's main task was to try and unite all the different resistance groups working in France . . . . After much discussion Moulin persuaded the eight major resistance groups to form the Conseil National de la Resistance (CNR) and the first joint meeting under Moulin's chairmanship took place in Paris on 27th May 1943. On 7 June 1943, René Hardy, an important member of the resistance in France, was arrested and tortured by Klaus Barbie and the Gestapo. They eventually obtained enough information to arrest Moulin at Caluire on 21 June. 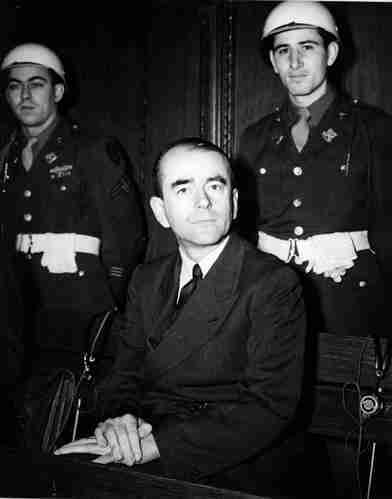 Jean Moulin died while being tortured on 8 July 1943. [During] the final days of the Versailles Peace Conference held in Paris, France, the German cabinet deadlocks over whether to accept the peace terms presented to its delegation by the other nations at the peace conference, most notably the Council of Four: France, Britain, the United States and Italy, and ratify the Versailles Treaty. Presented with the terms of the treaty on May 7, the German delegation was given two weeks to examine the document and submit their official comments in writing. The Germans, who had put great faith in U.S. President Woodrow Wilson s notion of a so-called "peace without victory" and had pointed to his famous Fourteen Points as the basis upon which they sought peace in November 1918, were greatly angered and disillusioned by the treaty. By its terms, Germany was to lose 13 percent of its territory and 10 percent of its population; it would also have to pay reparations, a punishment justified in the treaty by the infamous Article 231, which placed the blame for the war squarely on Germany. Ulrich von Brockdorff-Rantzau, Germany's foreign minister and leader of the German delegation at Versailles, was furious about the treaty. "This fat volume was quite unnecessary. They could have expressed the whole thing more simply in one clause: Germany renounces its existence." The country s military leaders were similarly against the treaty; as Field Marshal Paul von Hindenburg saw it, "as a soldier I can only prefer honorable defeat to a disgraceful peace." Some members of the coalition government that had taken power in Berlin, however, were of a different view, believing that Germany, in its weakened state, would benefit by signing the treaty in order to put the war behind it and begin rebuilding its manufacturing and commerce operations. The idea of a Jewish autonomous region in the heart of Siberia emerged from Lenin's nationalities policy that encouraged each ethnic group in the Soviet Union to settle its own territory, develop its language and culture, and contribute to the building of socialism. Soviet Jews, who were suffering through a wave of pogroms and anti-Semitism, were given the land around Biro-Bidjan in 1927, more than 20 years before the establishment of the State of Israel. In 1934, Josef Stalin officially declared Biro-Bidjan as the Jewish autonomy for solving the "Jewish problem." This land was inhospitable: an unsettled territory with a very cold climate, thousands of miles from European Russia, with no infrastructure. To convince Jews to move to this area, the Soviet government offered each settler 600 rubles and free railroad passage and food for the journey. In the early 1930s, the government released The Seekers of Happiness, a film about a poor American family's decision to emigrate to Biro-Bidjan. Posters of smiling workers hauling grain and driving tractors were printed to promote a Soviet version of the Promised Land. Jews did come from all over the world—Argentina, the United States, even Palestine—to settle in communes in the new homeland. In the 1930s, there was an even more compelling reason for Soviet Jews, especially those from the Ukraine, to come to Biro-Bidjan. Tens of thousands of Soviets were suffering and dying of starvation in the first half of that decade under Stalin's brutal collectivization policies. The Soviets promoted the use of Yiddish in Biro-Bidjan because they considered it the language of the secular, proletarian culture that replaced the "religious" Hebrew. At the height of the Biro-Bidjan project (1934-37), the settlers established Yiddish cultural institutions including schools, newspapers, a library, and a theater, the Kaganovich Jewish Theatre, founded in 1934 in a modern Bauhaus style building. Members of the Moscow State Jewish Theatre attended the theater opening, and the first play produced there was by the notable Yiddish writer Shalom Aleichem. The first exodus from Biro-Bidjan began almost as soon as the settlers arrived. Between 1928 and 1938, 41,000 Jews arrived; by the end of 1938, 28,000 of those had left voluntarily. As the political climate worsened in the late 1930s, the entire political leadership and membership of the writer’s club of Biro-Bidjan disappeared into labor camps. 1936 Austria: All political meetings and street demonstrations are banned. Czechoslovakia:The government institutes compulsory military training for all citizens from six to sixty. Actual military call-up is from age seventeen to thirty. The Holocaust is usually taught as the mass genocide of almost six million Jews in Europe during World War II. But, more than five million others were also persecuted, tortured, tattooed, and killed. These five million included innocent citizens: men women and children. The survivors and the families of these five million often feel left out: overshadowed by the Jewish casualties. Nonetheless, these people need to be recognized and memorialized. Many of these died for their race or their beliefs. Many of these died while helping their Jewish neighbors. They too deserve their place in history . . . .
Every country, even Germany, had those who did not believe in the Nazi ideology and who were willing to die for their beliefs. Perhaps no other group stood so firmly in their beliefs as the Jehovah Witnesses. 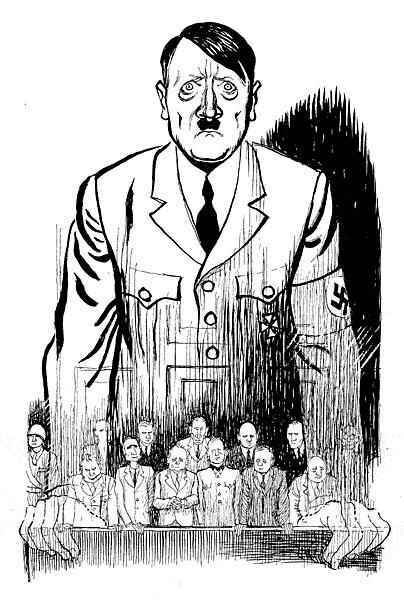 Hitler felt very threatened by this strong group of Christians because they, from the very beginning, refused to recognize any God other than Jehovah. 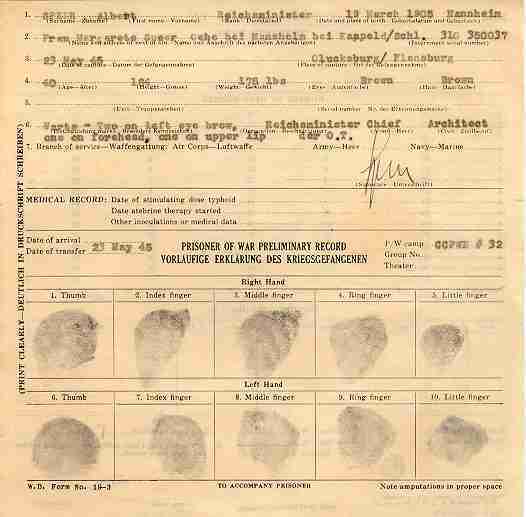 When asked to sign documents of loyalty to the Nazi ideology, they refused. Jehovah Witnesses were forced to wear purple armbands and thousands were imprisoned as "dangerous" traitors because they refused to take a pledge of loyalty to the Third Reich. Army and SS:General Walther von Brauchitsch issues a directive ordering cooperation between the Wehrmacht and the Waffen-SS (SS-Verfuegungstruppen). Poland:Polish prisoners from Pawiak Prison (Warsaw) are executed by the Nazis near Palmiry. France: Most of the Polish 2nd Division, 14,000 soldiers, cross the Franco-Swiss border after the fall of France. The French delegation leaves for Compiegne—although they were not aware of their destination—to begin armistice negotiations with the Germans. Hitler wanted Sea Lion to be over by mid-September. His naval chiefs believed that any invasion could not start until mid-September! Raeder supplied a list of reasons why the invasion could not go ahead before mid-September1940 (clearance of shipping lanes of mines, getting invasion barges ready etc) and he won the support of the army. Hitler ordered that as long as Germany controlled the sky, Operation Sea Lion would go start on September 15th 1940. 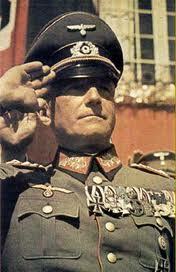 Therefore, the invasion depended entirely on whether Goering's Luftwaffe could defeat the RAF. War at Sea: The German heavy cruiser Gneisenau is damaged by a torpedo from the British submarine Clyde. Note: Gneisenau was a famous World War II 31,100 ton Gneisenau class battlecruiser of the German Kriegsmarine. She was the second to carry the name of the Prussian general August von Gneisenau; the first was the World War I armored cruiser SMS Gneisenau, destroyed at the battle of the Falkland Islands in 1914. She usually sailed into battle accompanied by her sister ship, the equally famous Scharnhorst. The job of feeding the German people stands, this year, without a doubt, at the top of the list of Germany's claims on the East; and here the southern territories and the northern Caucasus will have to serve as a balance for the feeding of the German people. We see absolutely no reason for any obligation on our part to feed also the Russian people with the products of that surplus territory. We know that this is a harsh necessity, bare of any feelings. I am under the necessity of bringing to the attention of the Congress the ruthless sinking by a German submarine on May 21 of an American ship, the Robin Moor, in the South Atlantic Ocean (25 deg 40' West, 6 deg 10' North) while the vessel was on the high seas en route to South Africa. According to the formal depositions of survivors the vessel was sunk within thirty minutes from the time of the first warning given by the Commander of the submarine to an officer of the Robin Moor. The submarine did not display its flag, and the Commander did not announce its nationality. The Robin Moor was sunk without provision for the safety of the passengers and crew. North Africa: Tobruk is captured as the Germans breakthrough into Egypt. Race riots erupt in Detroit: Federal troops will be sent in two days later to quell the violence, which will result in more than 30 deaths. British bombers perform the first "shuttle bombing" raid of the war, attacking sites in Germany and Italy. Taking off from airbases in Britain, bombers made for the southwestern German city of Friedrichshafen, at one time the home to Zeppelin airship construction. It now was the site of steel construction works, which were heavily damaged in the British attack. The Brits then flew, not back to Britain, but to airbases in Algeria. Refueled, they then headed north for the Italian naval base in La Spezia, in Liguria. This "shuttle" strategy enabled the bombers to kill two enemies with one operation-Bellicose. The four Japanese attacks used 373 carrier aircraft, of which 130 returned to the carriers, and several more were destroyed onboard the two carriers destroyed on the first day. After the second day the totals were three carriers and 395 aircraft. Losses on the US side on the first day were only 23, and on the second 100, most due to night landings. The losses to the Japanese were irreplaceable. In the battle of Leyte Gulf a few months later, their carriers were used solely as a decoy due to the lack of aircraft, and aircrews to fly them. Russian front: Red Army captures Viipuri on the Soviet-Finnish border. 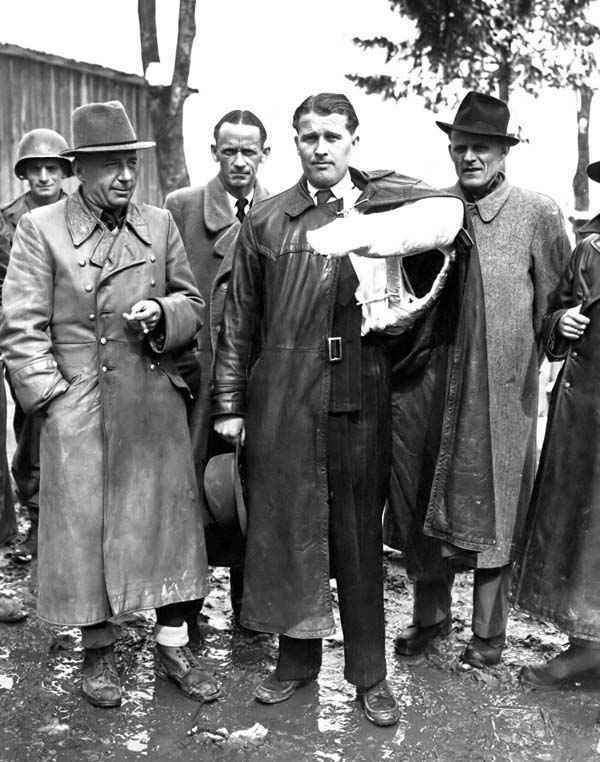 1945 Wunderwaffen: US Secretary of State Cordell Hull approves the transfer of Werner von Braun and his specialists to America, but it will not be announced to the public until the first of October. When Flaschner [Speer's counsel] succeeded Kubuschok [Papen's counsel] at the microphone, it became clear the there were lower depths of advocacy to be reached, unbelievable as it sounds. While Kubuschok sleeps in the courtroom, his fell work accomplished, Flaschner carries on the evil tradition with unashamed and unabashed zeal. 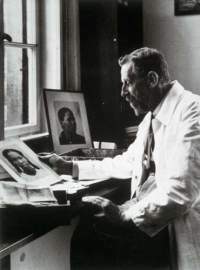 Dr Flachsner (Speer's counsel): Herr Speer, the Prosecution charges you with co-responsibility for the entire number of foreign workers who were transported to Germany. Your Co-defendant Sauckel has testified in this connection that first of all he worked for you in this matter, so that his activity was primarily determined by your needs. Will you please comment on this? Speer: Of course, I expected Sauckel to meet above all the demands of war production, but it cannot be maintained that he primarily took care of my demands, for beginning with the spring of 1943 I received only part of the workers I needed. If my maximum had been met, I should have received all of them. For this I need cite but one example. During that same period some 200,000 Ukrainian women were made available for housework, and it is quite certain that I was of the opinion that they could be put to better use in armaments production. It is also clear that the German labor reserve had not been fully utilized. In January 1943 these German reserves were still ample. I was interested in having German workers-including, of course, women-and this nonutilization of German reserves also proves that I cannot be held solely responsible for covering the essential needs, that is, for demanding foreign labor . . . .
Dr Flachsner: Herr Speer, I should like to go back to your testimony of 18 October 1945. In it you stated several times that you knew that the workers from occupied countries were being brought to Germany against their will. The Prosecution alleges that you approved of the use of force and of terror. Will you comment on that? This was a bad day. Damn that stupid fool Speer! Did you see how he disgraced himself in court today? Gott im himmel! Donnerwetter nochamal! How could he stoop so low as to do such a rotten thing to save his lousy neck! I nearly died with shame! To think that Germans will be so rotten to prolong this filthy life—to put it bluntly—to piss in front and crap behind a little longer! Herr Gott, Donnerwetter! Do you think I give that much of a damn about this lousy life? For myself, I don't give a damn if I get executed, or drown, or crash in a plane, or drink myself to death! But there is still a matter of honor in this damn life! Assassination attempt on Hitler! Ugh! Gott im Himmel! I could have sunk through the floor. Speer cut a figure not unlike the monumental buildings planned by the Fuehrer and constructed by him—designed for effect. 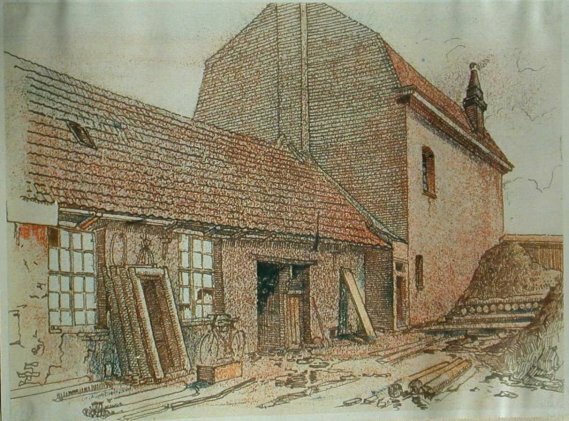 Of his buildings, the design for which usually carried the note 'prepared in accordance with the Fuehrer's ideas,' he said after his release from Spandau that they had become more and more foreign to what he regarded as his style. The same could not be said of his appearances in Nuremberg, where he made no attempt to evade responsibility, so much so that members of his former staff and others referred to him as the 'Nuremberger' unable to divest himself of his 'hair shirt.' Speer was a success at Nuremberg; he showed obstinacy and arrogance only to the Russians; despite his almost embarrassing vanity he made a good impression on the Western lawyers and observers at the trial and this stood him in good stead at the end. Jackson described him as the best man in the witness box and his liking for Speer was at times so obvious that observers at the trial suspected some secret agreement between them. And in fact there was, as Jackson's personal papers showed and Speer himself once admitted. Jackson and Speer carried on a secret correspondence and reached agreements. To lessen the threat of an accidental nuclear war, the United States and the Soviet Union agree to establish a "hot line" communication system between the two nations. The agreement was a small step in reducing tensions between the United States and the USSR following the October 1962 Missile Crisis in Cuba, which had brought the two nations to the brink of nuclear war. 1991 Germany: The Bundestag narrowly votes in favor of moving its capital from Bonn to Berlin. 1998 Death: Conrad Schumann: East German border guard; the first, and one of the most famous, escapees from East Germany. On 15 August 1961 he found himself, aged 19, guarding the Berlin Wall, then in its third day of construction, at the corner of Ruppinerstrasse and Bernauerstrasse. At that stage, the Wall was no more than a low barbed-wire fence. Seizing his opportunity, Schumann jumped over the barbed wire, and was then driven away at high speed in a West Berlin police car.